I absolutely love broomstick laces as well. I just tried it out for the first time this weekend. I'm just having a hard time managing the "broomstick". Oh no! Poor you with no heat :( At least it's not midwinter yet (and at least you're not in Canada, haha!) Your scarf is lovely - however did you get all those loops to be the same length? Your scarf is very, very lovely! Hope the man that fixes your boiler AND the postie comes to your house first thing in the am tomorrow! Stay on the warm side of your flat. That scarf is BEAUTIFUL! I've never come across this stitch before so thank you for sharing. your scarf looks fantastic, love the colour and that stitch ! Find you through Ravelry ! Love the patterns you put up in your site, thank you very much ! Your scarf is beautiful. I LOVE the stitch. I got most of the way through your little frog, but have been so busy cooking and blogging about cooking that it has sat untouched for weeks. 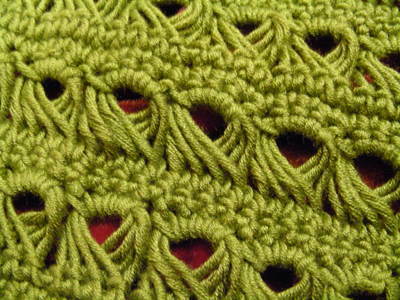 But...I will complete the froggy, and I would love to make something using this beautiful stitch. I'll let you know when I do. Hope you get your heat and yarn soon! This is so lovely. Very elegant. I will definitely be giving it a try! Thanks so much for the tutorial. You are so gifted! I really appreciate your patterns, and this tutorial particularly now. 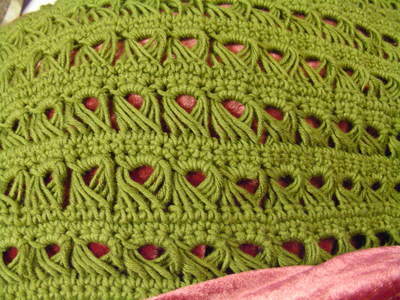 I made a broomstick lace baby afghan for my hope chest more than 30 years ago. I've slept since then and can't remember how I did it. Thank you for sharing your talents. Merry Christmas and God bless! Oh my! That stitch is beautiful. I think it'd take a more patient person than me to make it neatly and consistently, though. Especially for row upon row upon row of a scarf! I learned about broomstick lace from your blog. I have made a cellphone holder from your instruction. I love the look of your scarf! I am very new to crochet and just wondered if the scarf is reversible or is there a back and a front? It's the first time I see this kind of crochet and I love it. It's very nice. Love the stitch! Your explanation is excellent. I intend to find something I can make using this stitch. This is absolutely gorgeous! I love it! 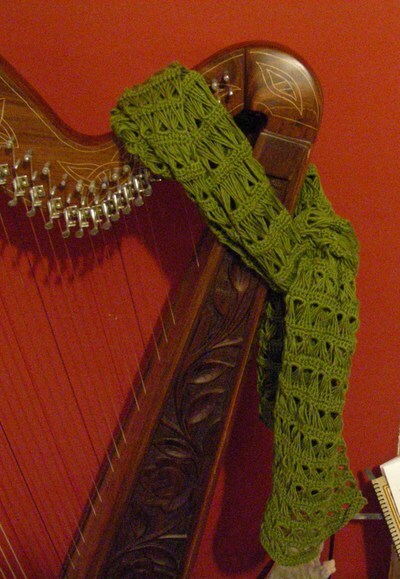 Thanks so much for posting the instructions on the stitch and how to make the scarf! wooww beautiful. and your instruction are really good. not sure how to make something so pretty, just really lovely. Novice myself but would love to learn it.